Kia has imported a number of its global models to India and is using them without any camouflage on public roads. 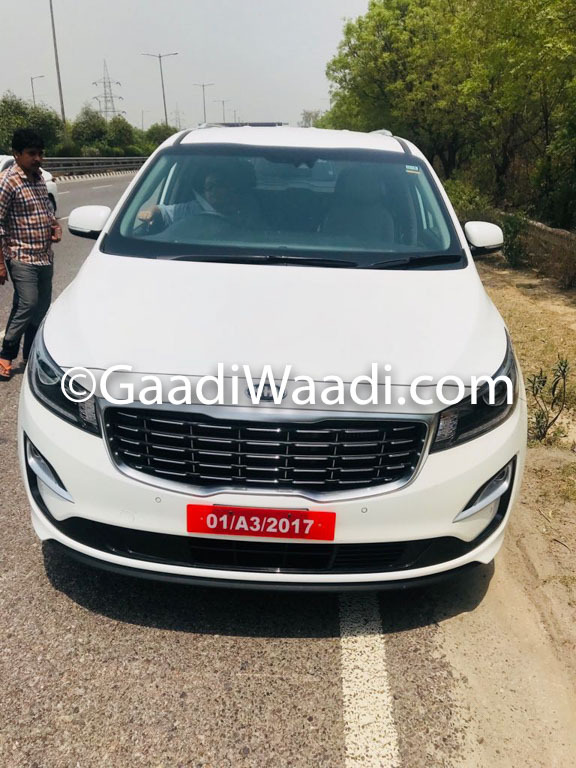 It seems to have added the Kia Carnival to its fleet recently, images published by Team-BHP and GaadiWaadi have revealed. The Kia Carnival was showcased at Auto Expo 2018 in February, but that was the pre-facelift model. The Kia Carnival was showcased at Auto Expo 2018 in February, but that was the pre-facelift model. The black-coloured and white-coloured units plying on the public roads are of the facelifted Kia Carnival that was introduced in South Korea in March. The updated model features tweaked headlamps, new tiger nose grille with a detailed mesh-like pattern, reconfigured bumpers, new alloy wheels, new tailgate garnish and tweaked tail lamps. Unlike what some local websites are reporting, the Kia Carnival is not a Toyota Innova rival. The Kia Carnival is a much bigger and more premium product. The minivan actually falls in a segment non-existent in India. It goes against the likes of Toyota Sienna, Honda Odyssey, and Chrysler Pacifica. The Kia Carnival is 5,115 mm long, 1,985 mm wide and 1,740 mm tall. It has a 3,060 mm wheelbase. It is available in 7-seat, 8-seat and 11-seat versions. The rear bumper design of the units seen in the images here suggests that we are looking at the 11-seat version. Two engine options are available in South Korea: 3.3L GDI V6 petrol and R 2.2L E-VGT CRDi diesel. The petrol engine produces 280 PS and 336 Nm of torque. The diesel engine is tuned to deliver 202 PS and 441 Nm of torque. Both engines are paired with an 8-speed automatic transmission. Kia is evaluating the Kia Carnival for India. 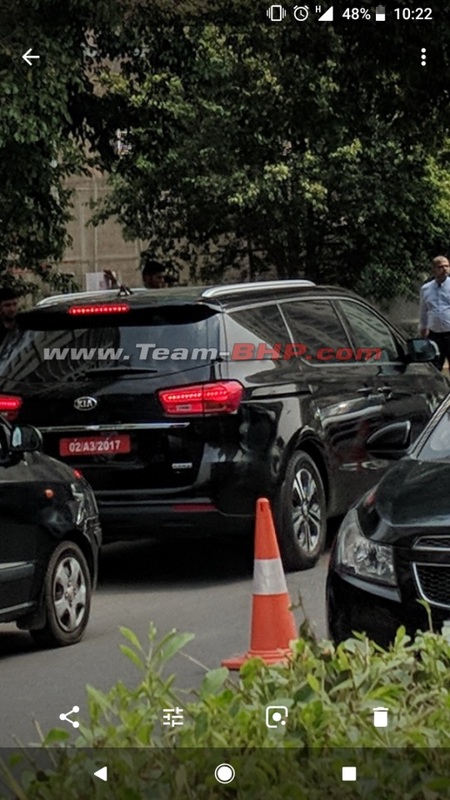 Kia will enter India in mid-2019 with the Kia SP Concept-based premium B-SUV that will compete with the Hyundai Creta. This is the only model it has announced for our market so far. Recently, it was reported that the company is evaluating the Kia Carnival and Kia Stonic global models. Previous reports have said that a sub-4 metre SUV will arrive in 2020 and that the Kia Sportage could also join the line-up here at some point.